“Travel is the only expense that makes you richer,” but at what point do we miss out on the richness of travel because of our mobile devices, our cameras, and a desire to share the our travels with the outside world? Between trying to take the perfect shot of the exotic plate of food in front of you and the urge to get wifi to check in at a far-flung destination, we often miss out on the true essence of travel: being out of our element in foreign lands. As an avid traveler and photographer, I will admit that I, too, had fallen victim to this cycle of travel. I was constantly looking for wifi to stay in touch with people or trying to get the perfect photo of the back alleys in Burma, the cafe in Vientiane, or the mosaics in Macau instead of living in the moment. The worst part of this is that I did not even realize what I was doing. 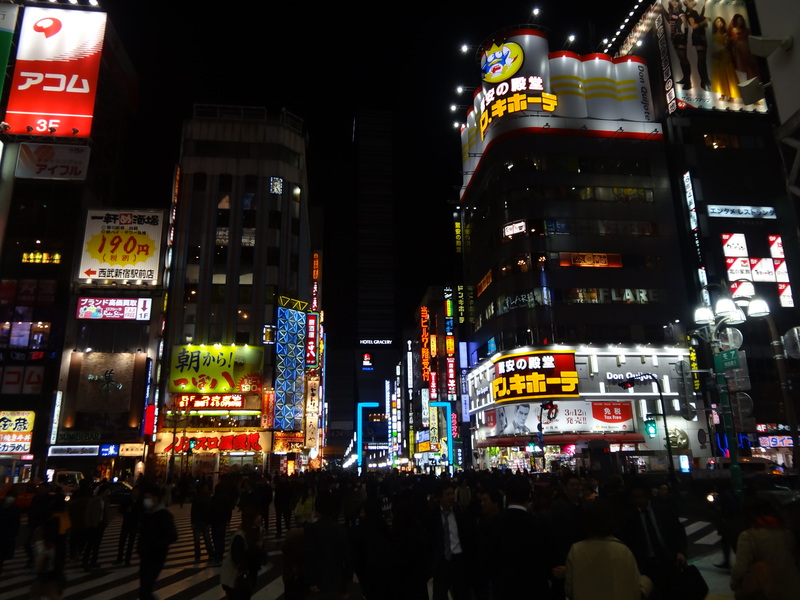 It had become second nature to me after traveling in Asia for several years. Unless I was writing in my travel journal and thinking about my trip, I was more worried about getting the perfect photo than stopping to smell the roses, so to speak. All of that changed when I shared e-mail correspondence with a friend of mine who had just gotten back from a fourteen day trip to South Africa where he did not use his phone and did not take a camera with him. He urged me to try traveling without a camera because, with Google Earth and Google Images, you can find any photo that will remind you of where you have been while you also retain the memory of actually being there in the first place. This e-mail came on the heels of me reading an article about how taking photos of things harms your memory of those things. I wanted to see if there was any merit to this method of travel. 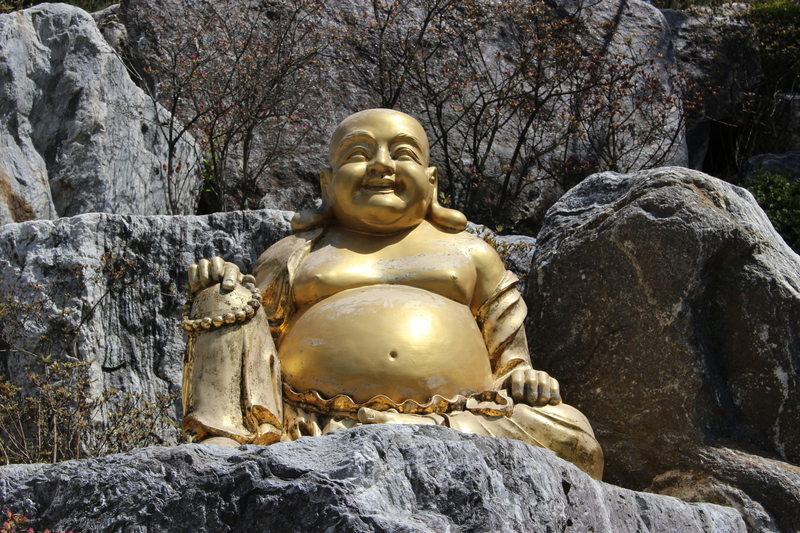 With this in mind, I went to Taipei with the intention living in the moment during my visit with old friends. Other than using wifi for directions and snapping a few photos with my phone (on airplane mode), I was going off the grid. 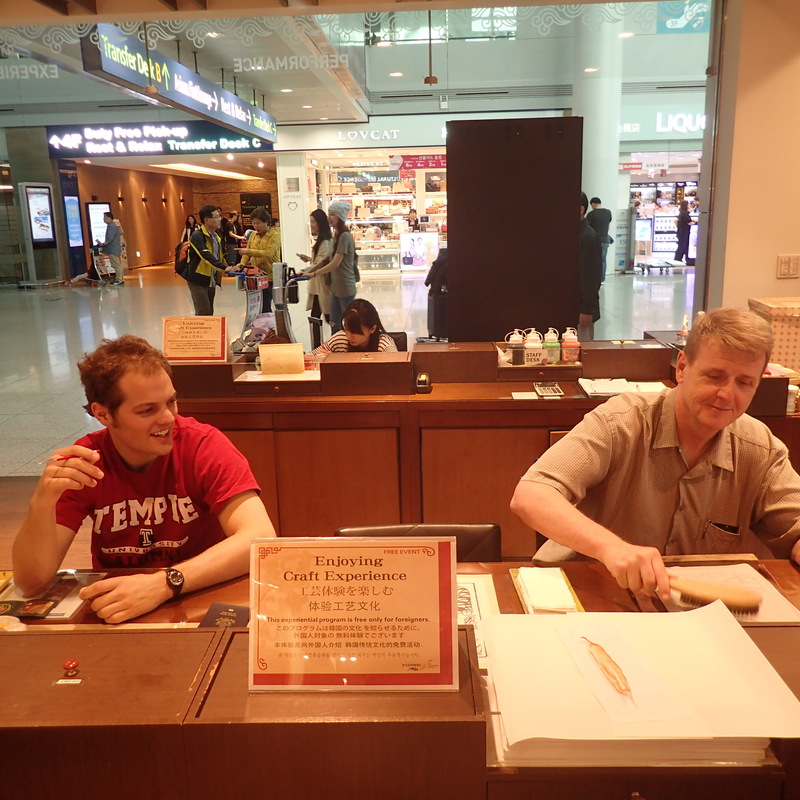 Almost as soon as I arrived in Taiwan, I knew this was going to be a special trip. I even left my headphones at home and I immediately noticed things about Taiwan that I had never seen before once I got on the bus to Taipei from the airport. Posted signage banning live birds from being brought onto the bus and some of the Japanese-language signage near a shipping facility were two of the highlights of this ride, but more insight was yet to come. With my friends for the next few days I was able to notice simple things that I had not noticed in the past because of my preoccupation with my camera and my desire to share my travel experiences with others in my photos. The sounds of hustlers in the streets hawking their goods and the sizzling of saucepans at the night market I experienced last week would have certainly gone unnoticed had I been trying to get the perfect ISO or white balance setting for a photo. With my electronics tucked away, all of my senses were heightened and I was able to capture my trip using all of my senses. 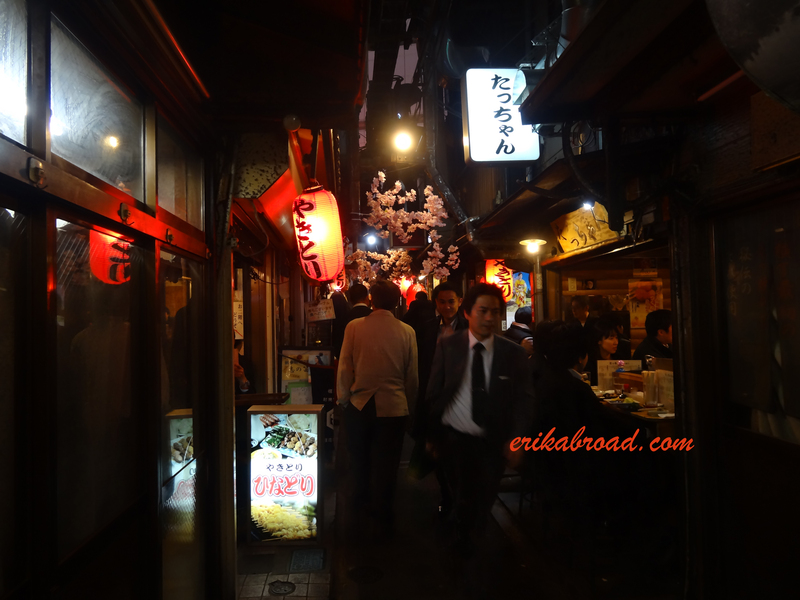 As I stood next to a putrid tofu stand in the light rain, everything about the city seemed to come alive- shopkeepers scrambled to clean up their stands while bikers raced to the nearest overhang. All the while, Chinese-language neon signage glistened in the street gutter as the rain subsided a few minutes later. This kind of experience is what I had been missing while staying connected on my trips. 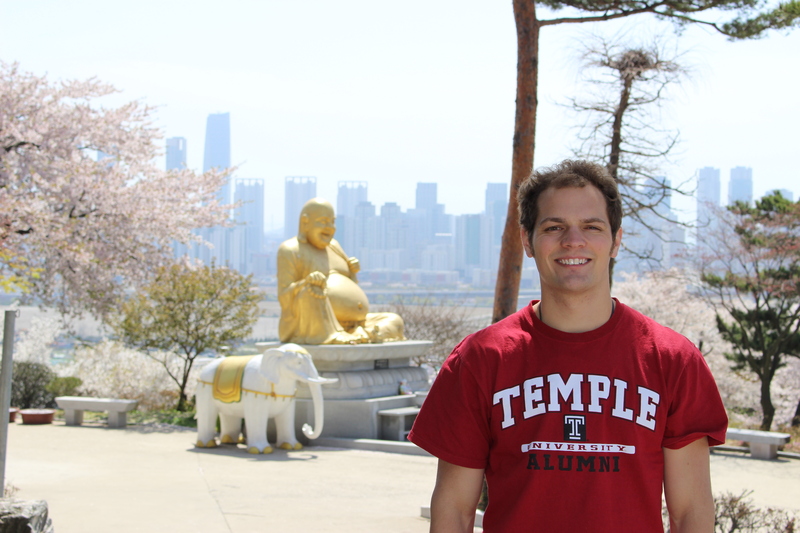 I had these kind of experiences during the entirety of my stay in Taiwan. I visited beautiful cliffs in Keelung and, instead of trying to get the best photo, I spoke with my friends about them and we took time to hike cliffside trails and breathe in and think about the fresh Pacific Ocean air. 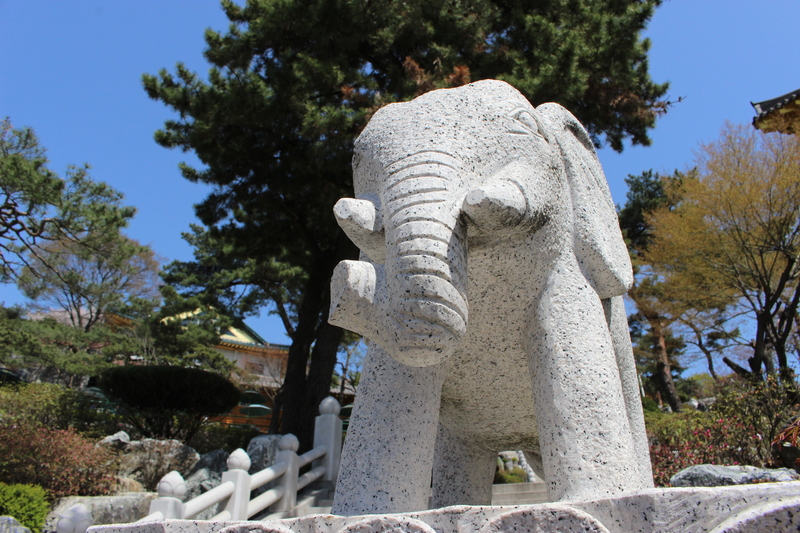 While climbing Elephant Mountain, I noticed etched stairs which denoted the mountain’s name and the distance to various points on the mountain. They had certainly been there prior to that day, but I never noticed because I was too worried about getting the perfect photo of Taipei 101 from the stairs. 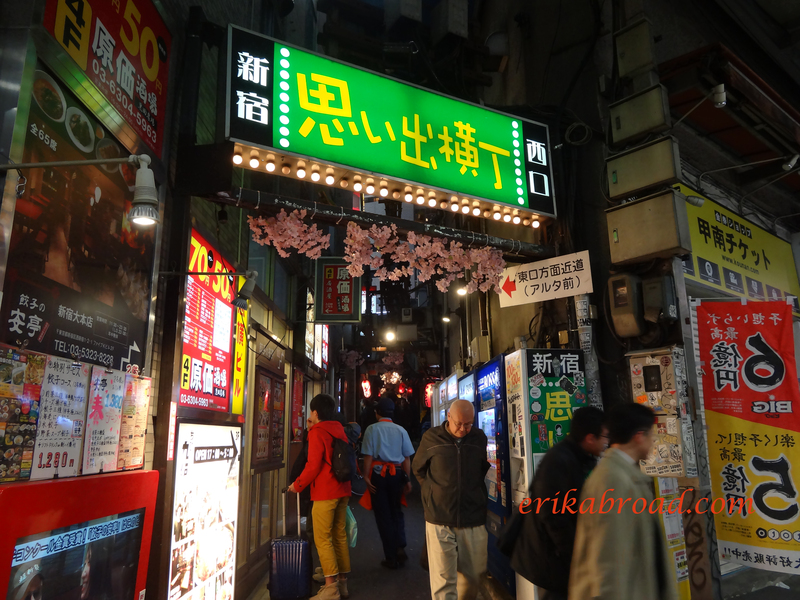 These were certainly good experiences, but nothing prepared me for what I saw during my last night in Taipei at the city’s oldest jazz club/bar. Ever since my last visit to Taipei in 2015, my friends had wanted to take me to this jazz club called Blue Note. Luckily for us, our schedules aligned and we made a reservation for the bar on a Saturday night to catch an incredible four piece band that would end up playing for two hours or so. About halfway through the evening, I took my eyes off of the band and realized that, while the saxophone and piano players were in a deep musical conversation, half of the bar was either in deep conversation with another person or a game application on their cell phones. Instead of living in the moment and feeling the joy of the music, all they were doing was living inside of their cell phones. Once I arrived at the airport on Sunday night, I found it incredibly easy to write an in-depth journal entry about each day of my trip through Taiwan. That would not have been possible had I had my camera with me for the duration of the trip or had I been searching for wifi at every moment. It might seem like blasphemy to even suggest, but try traveling without your camera and your wifi the next time you travel. You might get a more wholesome experience. It helped me live in the moment instead of being captured inside my devices. Anyone who has read this website before knows how much I extoll the virtues of solo travel and how positive those journeys can be. Those values must not be forgotten but today I am going to focus on something even more important than the solo travel experience: the travel friend everyone needs to have. Travel is the only expense that makes you richer. Sometimes you get even richer from travel if you can go with your good friends. My best travel friend in the world also happens to be one of my best friends from my hometown. Our quest for adventure and sightseeing has taken us to many spectacular places where we have seen amazing things and participated in many unforgettable events. It all started on a rainy Wednesday morning in central Pennsylvania when my friend Andrew and his brother, David, picked me up for what would end up being an eventful day in Lafayette Square at the inaugural Tax Day Tea Party in Washington, D.C. 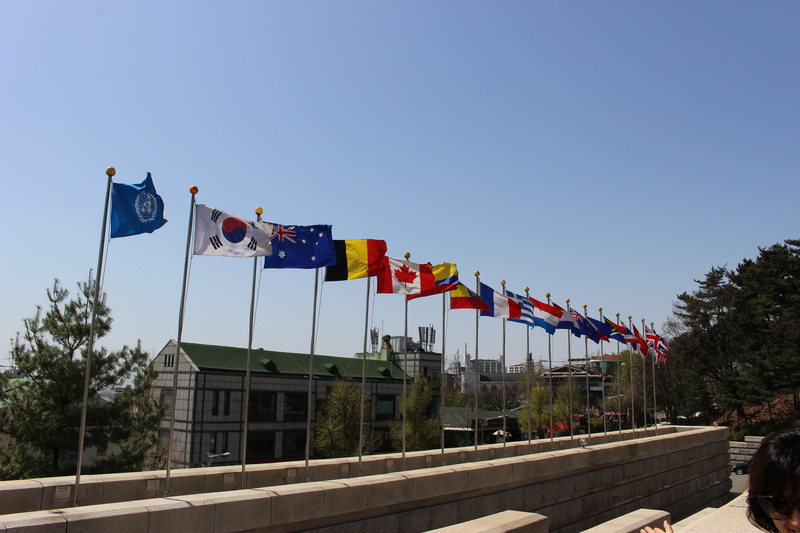 The whole experience set the wheels in motion for a friendship that has led us to more than 15 states, three Canadian provinces, and two (soon to be four) countries in North America (and Asia). 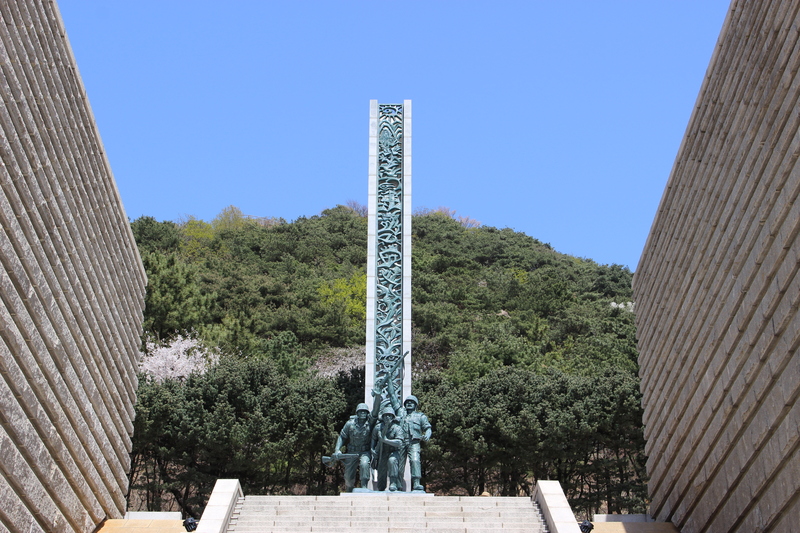 From that moment onward, we began to take weekend trips to see different places in our part of the country. 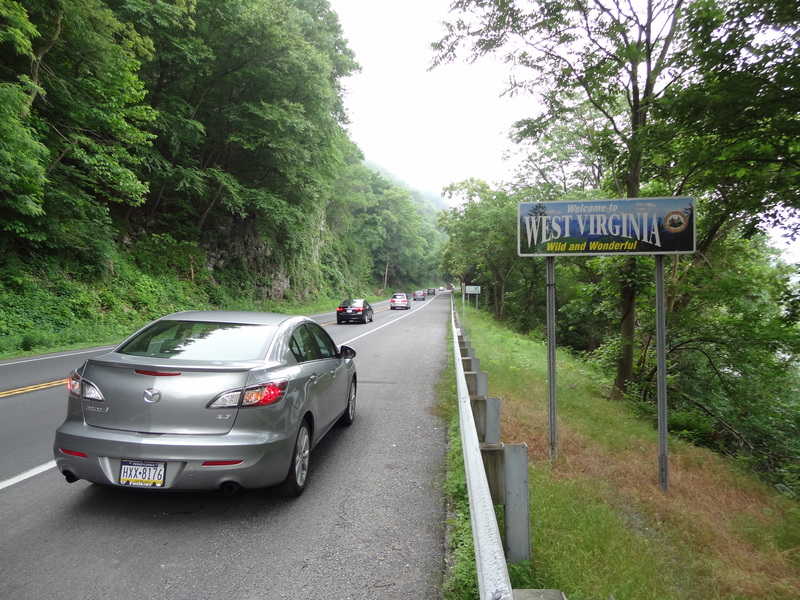 Often times we traveled in his Mazda to the historic triangle between Harper’s Ferry, WV, Antietam, MD, and Washington, D.C., to celebrate Memorial Day. 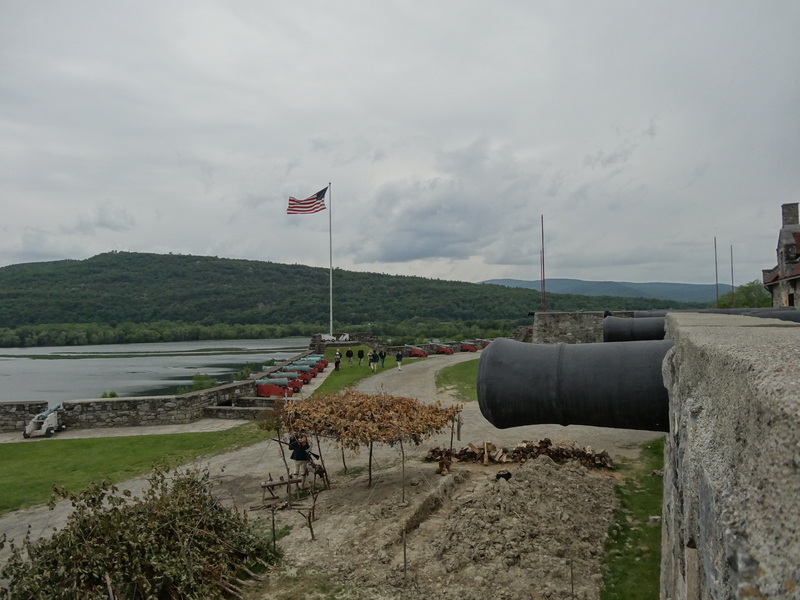 One time we made a wrong turn and decided to stop at a special place on a state road where West Virginia, Maryland, and Virginia all converged into one point on the banks of the Potomac. The sights and sounds that day in the Mid Atlantic were amazing. 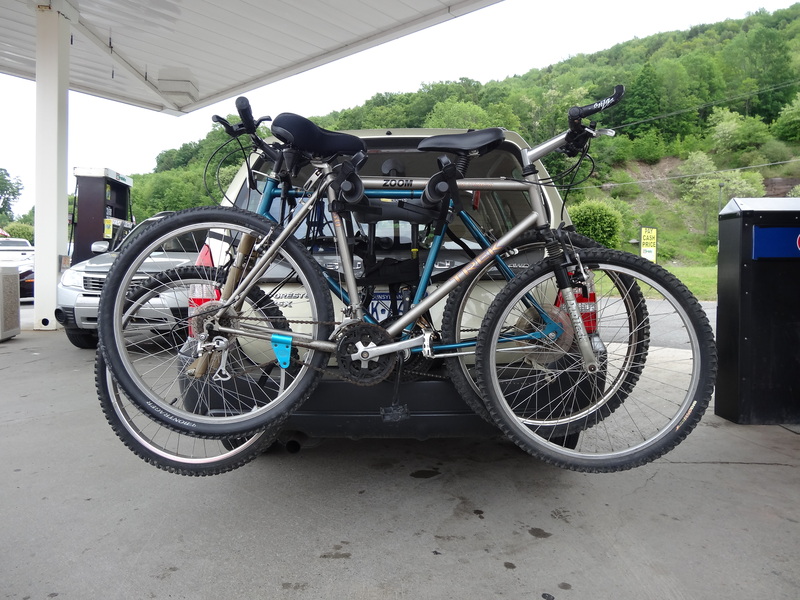 As we continued to travel and make long hauls of weekends, we realized that we had something few friends have when it comes to travel: chemistry. Anyone who travels a lot knows how hard it is to find a friend who has the same travel interests and travel style. Pace, interests, and reasons are often irreconcilable differences when it comes to choosing the people with whom you want to travel. We both love roadside attractions, a very fast pace, history, and taking a ridiculous amount of photos. 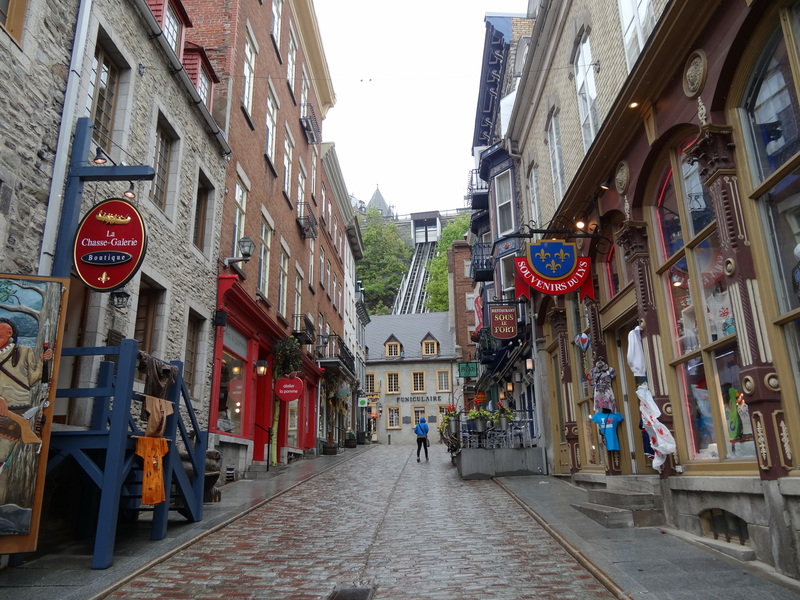 As a result, we began to plan an unforgettable road trip during the summer of 2012 from Central Pennsylvania to Ft. Ticonderoga and then to St. John’s, New Brunswick, Canada, by way of Montreal and Quebec City. 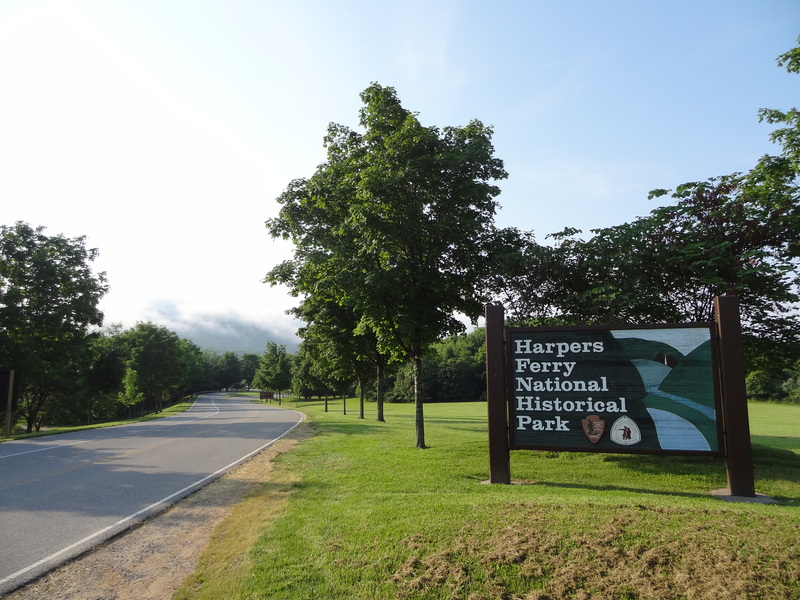 After that, this 2000-plus mile road trip would meander down the East Coast with stops at Acadia National Park and some other historical landmarks on our way home. With all these stops and all that distance, you would think that we would do it all in about a week or two, right? Not us. We did it all in a span of only five days. We loaded up his Subaru and were on our way to Canada, for better or worse. After many scenic stops, some ridiculous encounters with fellow travelers and locals, an interesting cab ride in Montreal, and an all-night drive between Montreal and Quebec City, we made it to New Brunswick where we met our match the following night. After taking in the beautiful cliffs at Fundy National Park, we were on our way back to the United States to hopefully camp for the night at Acadia National Park. 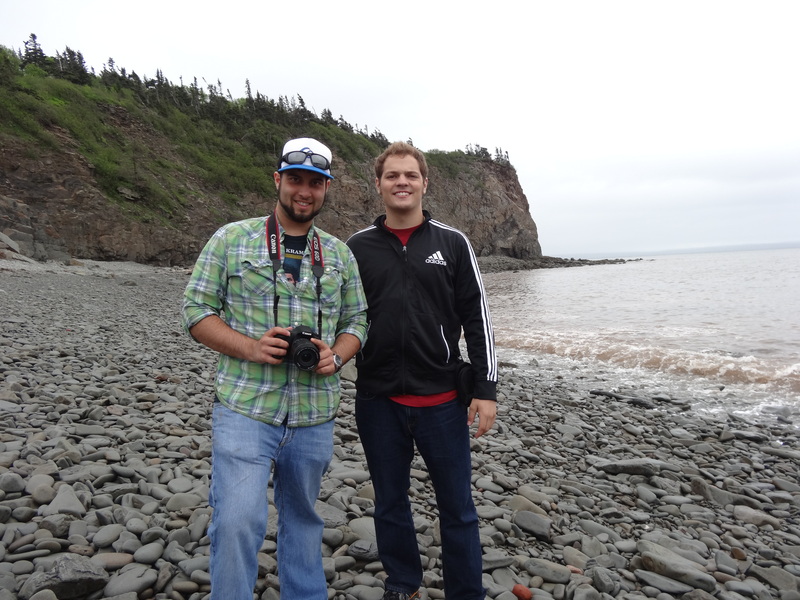 Andrew and I at Fundy National Park, New Brunswick, Canada, ca. 2013. Horribly foggy conditions engulfed our vehicle in northern Maine and led us to drive at speeds of 15 miles an hour all night down back roads along the Maine coast to find the nearest hotel to stop for the night. We stopped at a bar to ask for directions and watched a Red Sox game with some locals who let us know that we were decidedly unwelcome. 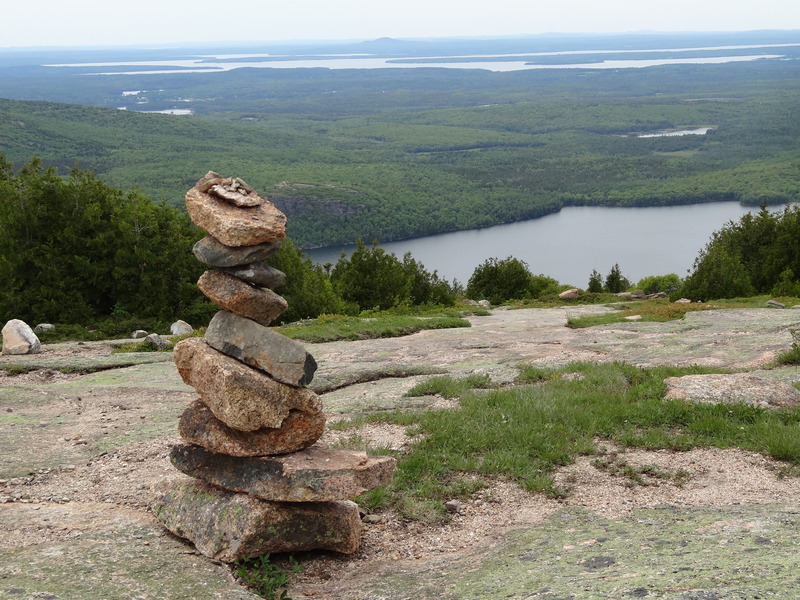 After that, we got back on the road and headed down the road with a brief stop until making it to Acadia National Park in the morning. Even though it was so stressful, we both knew more trips had to be done following an experience like that. We just never knew when it could happen. 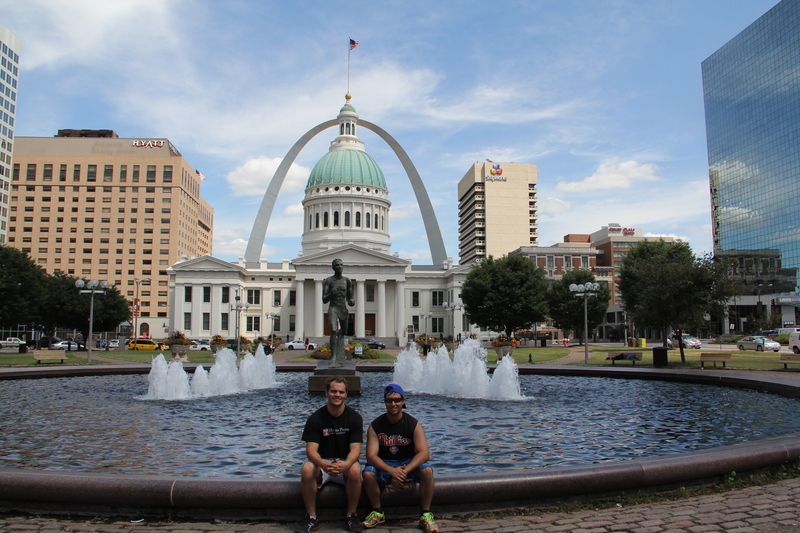 As luck would have it, my vacation time from my job in Japan allowed us to meet up last summer (2014) for another high octane road trip across America, this time to St. Louis and back (via Chicago and Cincinnati). Totaling over 1700 miles, this trip would be on more familiar territory (we both had extensive travel experience in the Midwest), but would not be short on energy or excitement. Posing with Touchdown Jesus in South Bend, Indiana, eating White Castle, seeing lightning strike the Sears Tower, meeting Swedes in Chicago, and seeing my aunt in Cincinnati all accented what was another amazing trip to one more of America’s great landmarks. The most remarkable thing about it is this: throughout all of our travels, we have never had a bitter dispute or bickered to the point where we were not speaking to each other, even for a few hours. Each time we have hit the road and traveled, it has been enjoyable and memorable no matter where we were in North America. We were resided to the fact that that journey was probably our last one together as I returned to Japan and he returned to school in the United States. As we all know, life often takes unexpected twists and Andrew and his brother are about to board a plane to come see me in Japan. 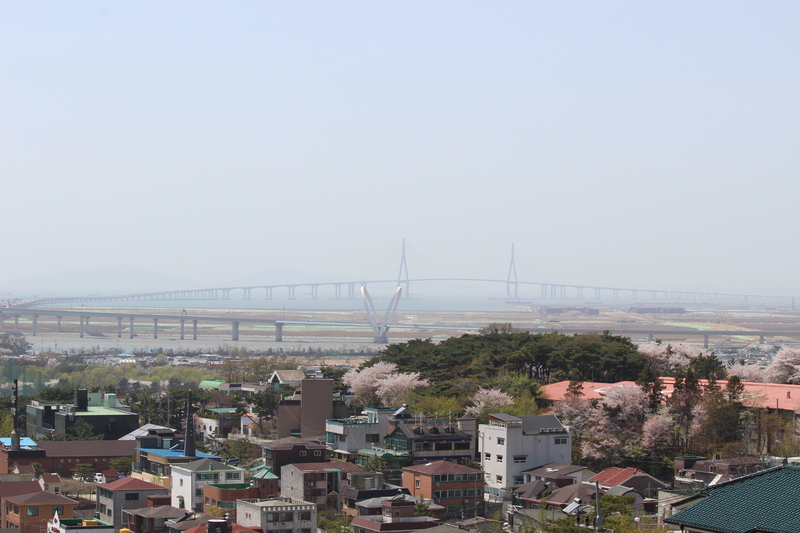 During the three weeks they are in Japan, we will traverse Japanese cities and countryside and even take a jaunt to Seoul, South Korea, to get an authentic experience in the city with some of my Korean friends. Who ever would have thought that two boys from small town USA would end up see so much of the world together in such a short period of time? Some things bring people together and help forge friendships for life. For me, travel certainly is one of them. I know as soon as I meet them at the arrivals gate at Kansai International Airport on Wednesday, the good times will roll again in Japan like we never missed a beat. Travel friends and the memories you make with them will be a topic of conversation between you all until the day you pass. Get out there and travel and bring a seasoned friend with you from time to time. 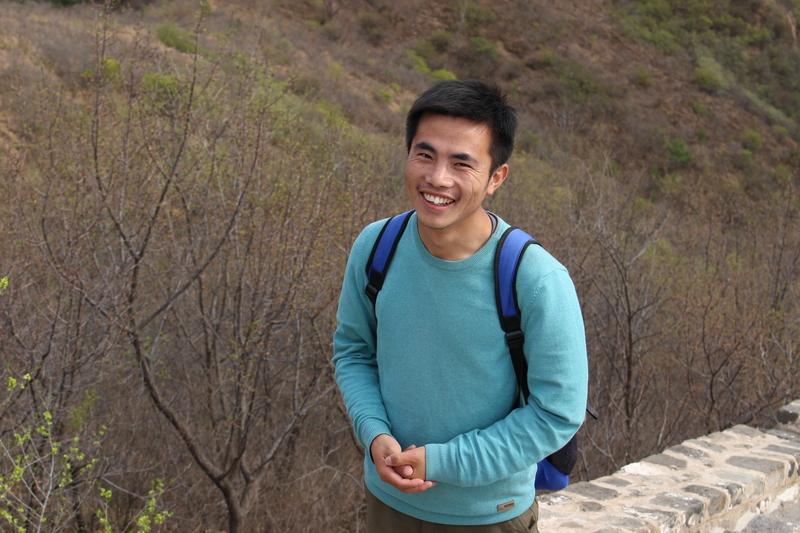 As my friend and I climbed up the set of stairs leading to the Jinshaling stretch of the Great Wall of China, we encountered some interesting individuals both descending and ascending the steep and ragged stairs. One would expect large groups of tourists, photographers, or even vendors on a warm (and clear) April afternoon, but these people were unique and special— they were runners. As a runner from Hong Kong told me, this was no average run. 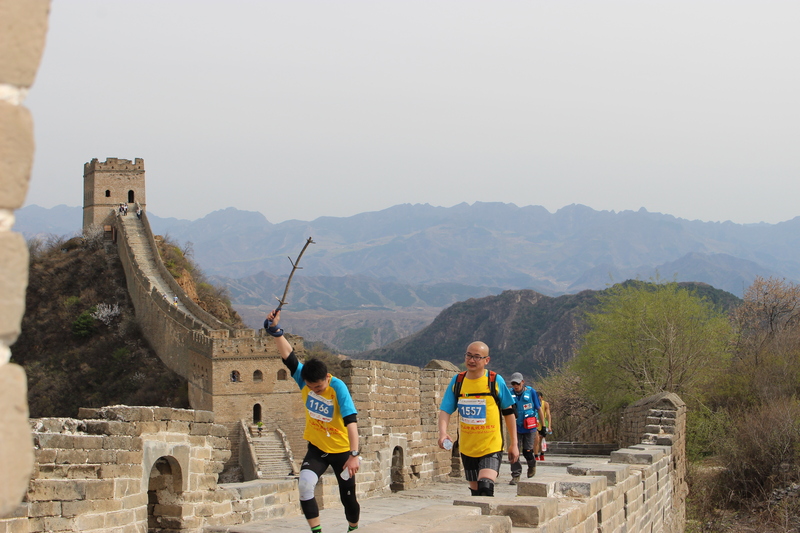 They were near the finish line for the 2015 Great Wall Marathon. 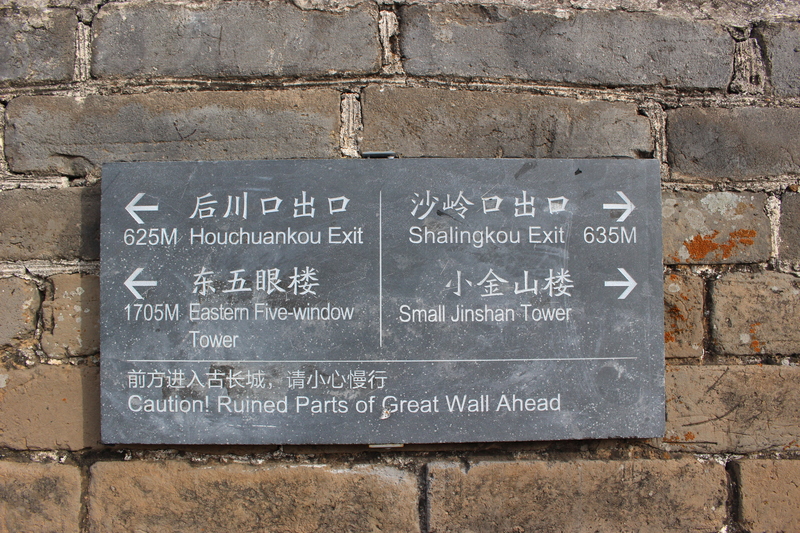 You read that right- the Great Wall Marathon. I didn’t believe it at first, but there were hundreds of people running 26.2 miles on one of the world’s most famous landmarks. At this point we still had not seen the wall ourselves, but once we arrived the immensity of the challenge was soon very apparent. 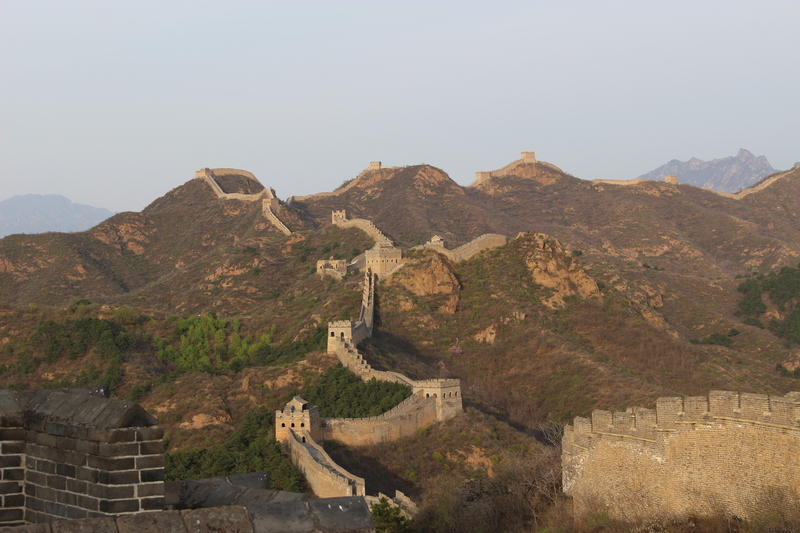 The Jinshaling section of the wall is the most-photographed section of the Great Wall. 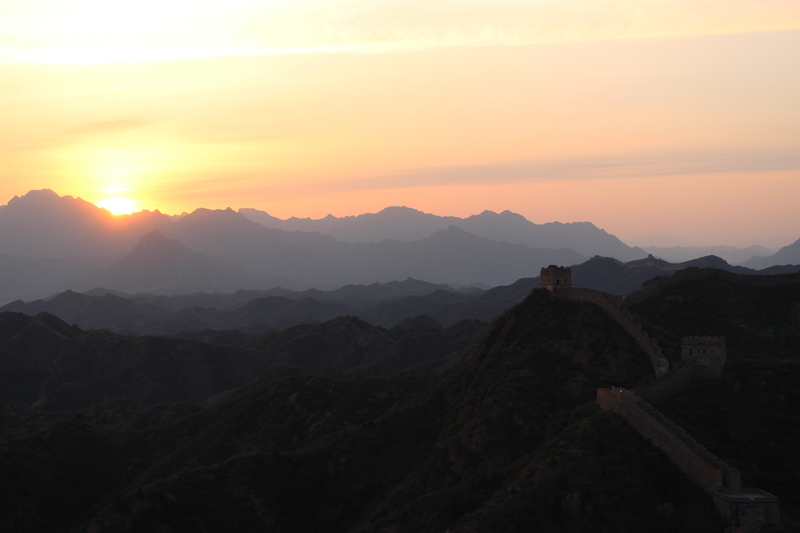 As it serpentines the ridges and mountaintops, it creates a breathtaking scene. 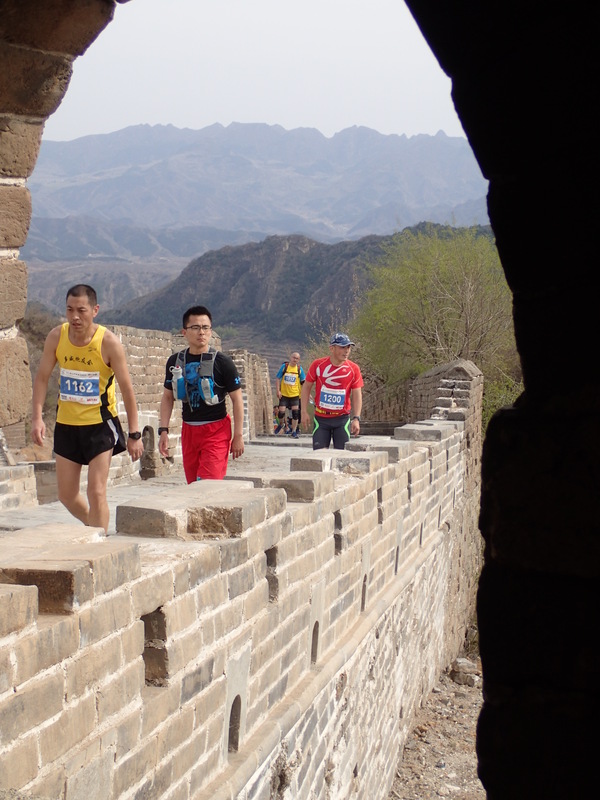 This scenery coupled with weathered barriers was interesting when juxtaposed against marathoners. 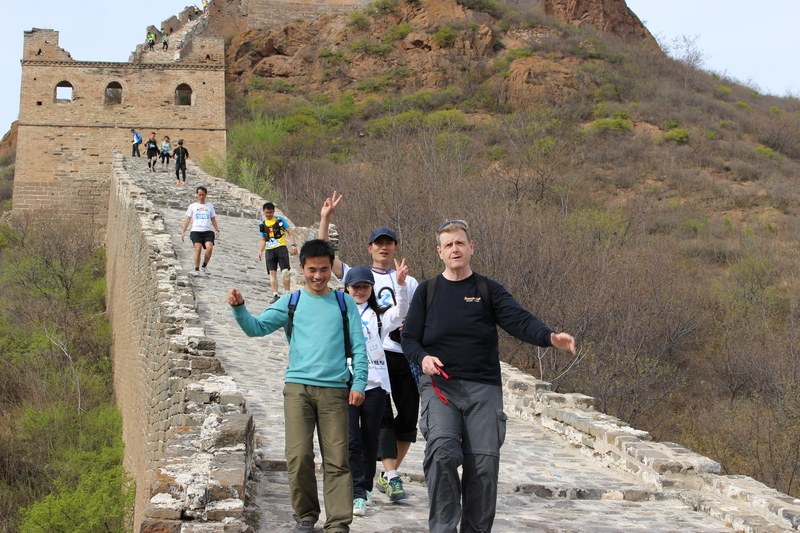 Once we reached the Wall, we our exciting 4 hour walk alongside marathoners led to new friendships and some unforgettable scenery. I have never run a marathon, but I can say with a great deal of certainty that it is one of the most challenging and physically demanding athletic pursuits out there even if it is on flat ground or a paved roadway. 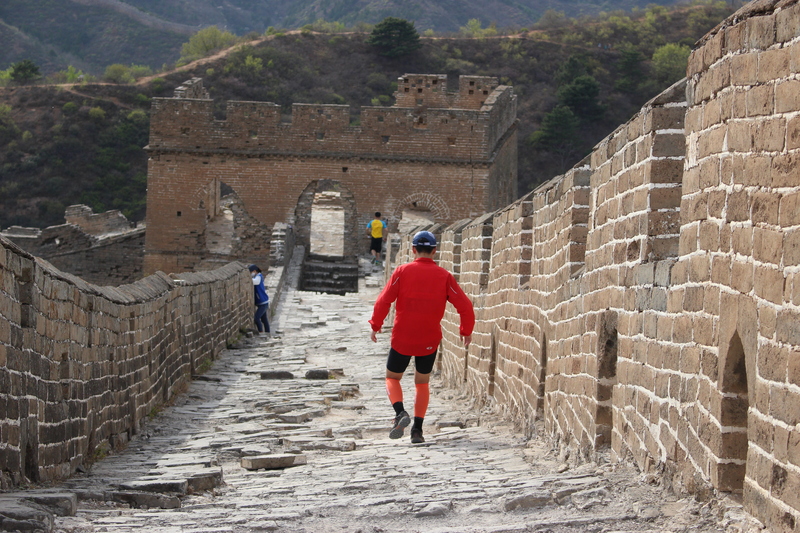 The Great Wall Marathon was neither on flat ground nor was it on a paved roadway. 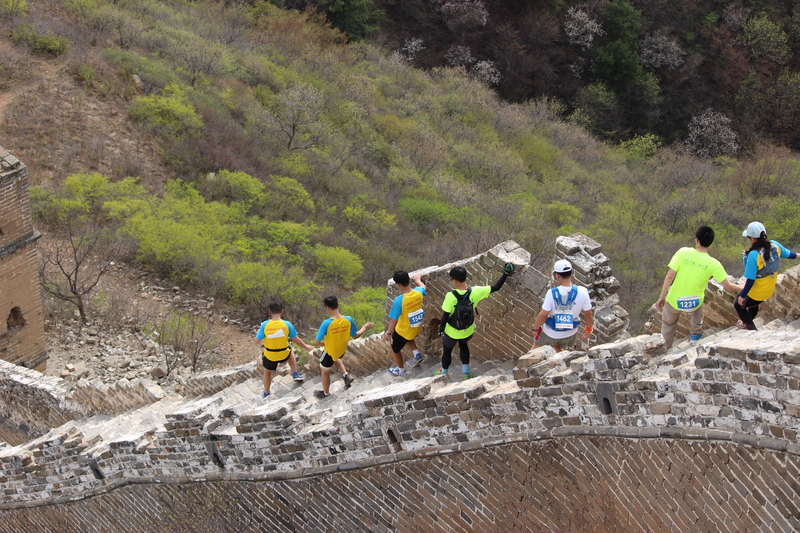 Runners were met with steep slopes, ragged staircases, and eroding pathways as they carried on towards the finish line. As my friend and I struggled down these staircases, we could only imagine the difficulty and cramping runners faced as they reached mile 20 running on this wall. There was a real possibility for serious injury but they all pressed onward towards the finish line. In the face of this daunting challenge, many runners were cheerful and could not wait say hello during the marathon. Runners of all ages with walking sticks stopped to say hello or wave as they continued towards the finish. Other runners wearing nothing more than a tank top and shorts pressed toward the finish. 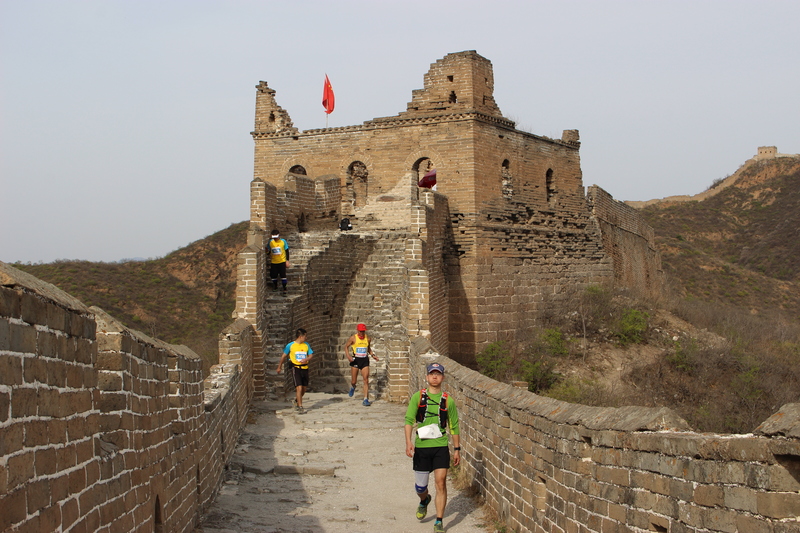 Crossing through the watch posts was another interesting part of navigating the Great Wall and finishing the marathon. There were often bottlenecks inside as groups of runners jockeyed for position to keep up their pace. Our fantastic guide, Jack, was all smiles as he explained the Wall’s history and its importance throughout the duration of our tour. 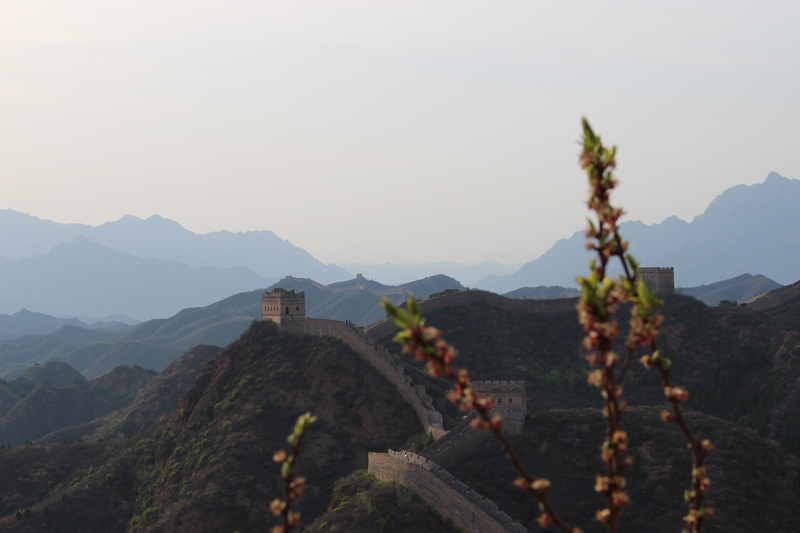 Anyone interested in doing a tour of the wall should definitely stop by the Wild Great Wall Adventure Tours website and book with them (http://www.wildgreatwall.com). The experience was world class and Rick and his team did a great job making sure everything was arranged for us weeks in advance. 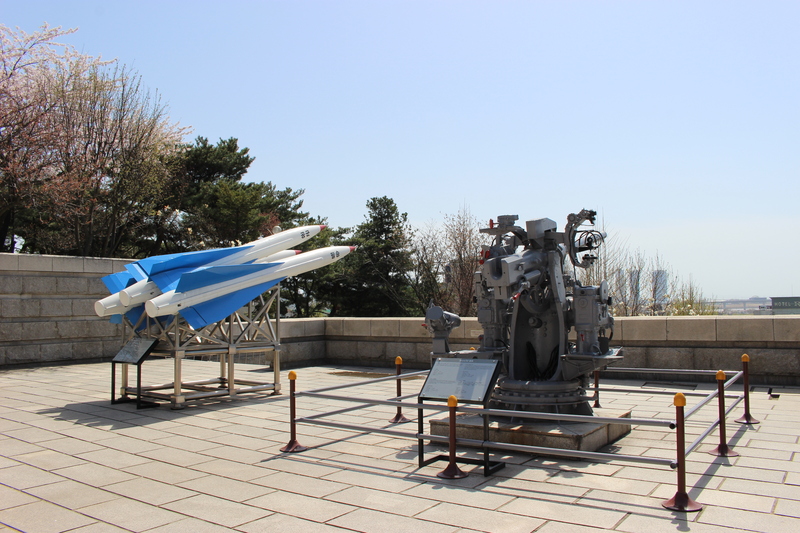 Once we passed through the first watch tower, a young couple was giggling at the bottom and eventually ended up talking with my friend and I. Since they were staff for the marathon, they joined us for part of the walk to make nice conversation and talk about some of the race’s details. While there were some communication gaps, they helped make the whole tour memorable. It’s another example of meeting interesting people along the way when you travel. 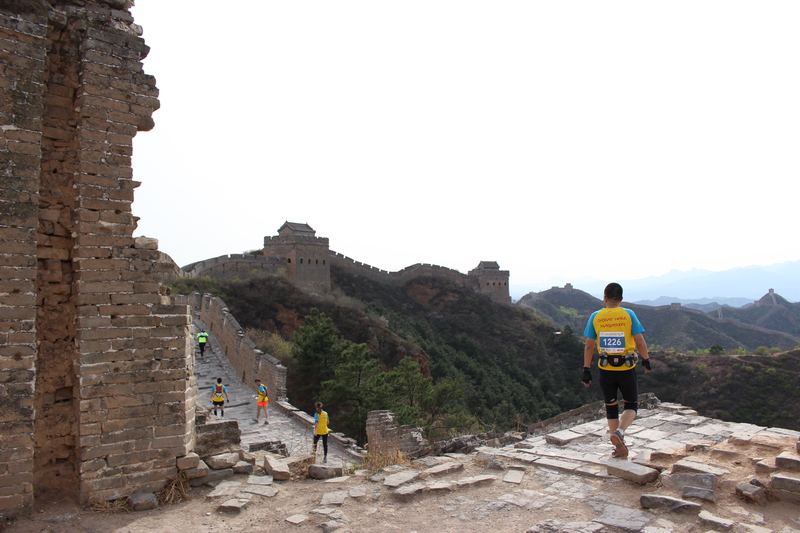 As the day grew older, we split ways and continued towards the terminus of the tour but encountered even more runners as they braved the Great Wall. 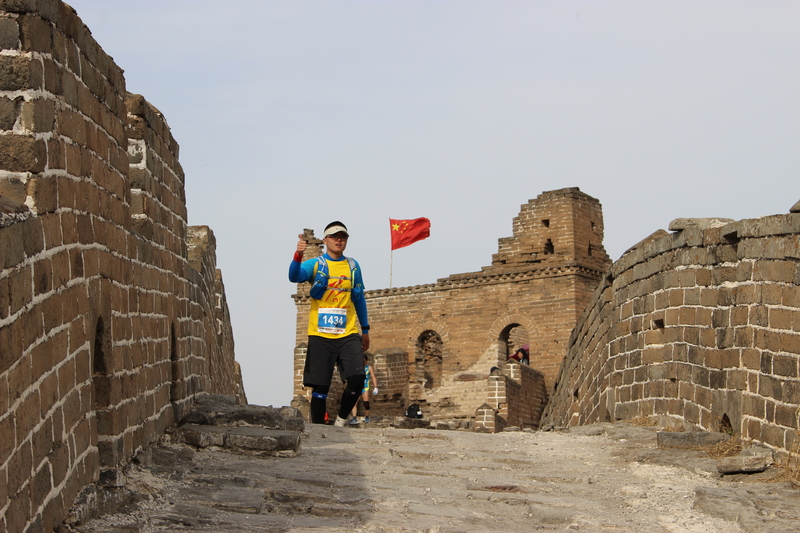 About midway through our tour, the Chinese flag provided a great opportunity to see runners hustling down one of the smoother portions of the Jinshaling Wall. Several hundred yards later, an ominous watch tower was a preview of some of the difficulties runners would face later on in the course. From this point onward, the climb became even more difficult. 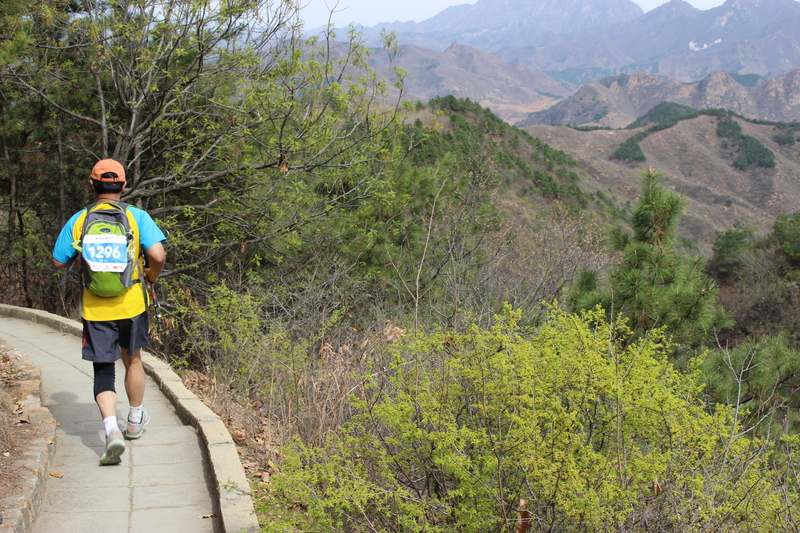 Steep inclines and declines made some joggers take pause but they kept going against all odds. 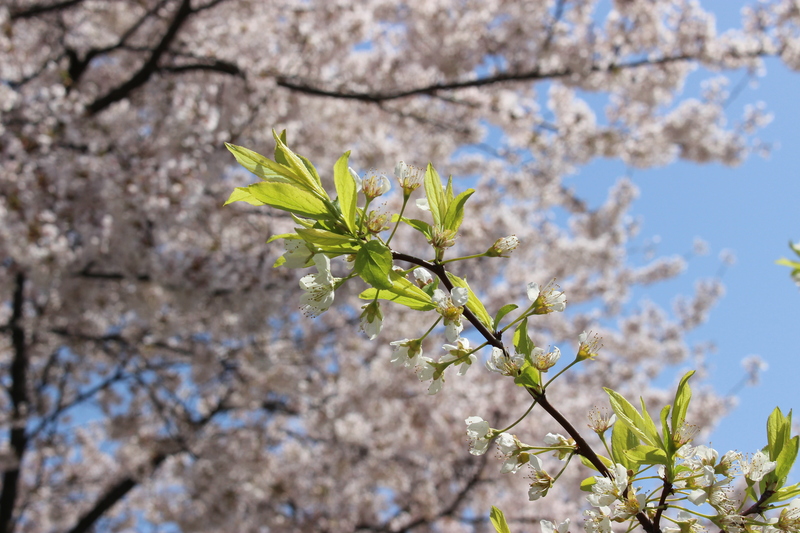 As we continued towards our tour’s terminus, there were beautiful scenes around every corner. Looking back at the wall as the sun began to set, we thought about the runners and finally making it to one of the world’s most famous landmarks. The runners and the marathon were an interesting distraction during the day, but the moment for which we had waited all day finally arrived– sunset. Words cannot describe how beautiful this sight was. Simple travel moments often turn into extraordinary memories. Two years ago I went to Singapore as a part of my inaugural trip through Southeast Asia and I had a great time. 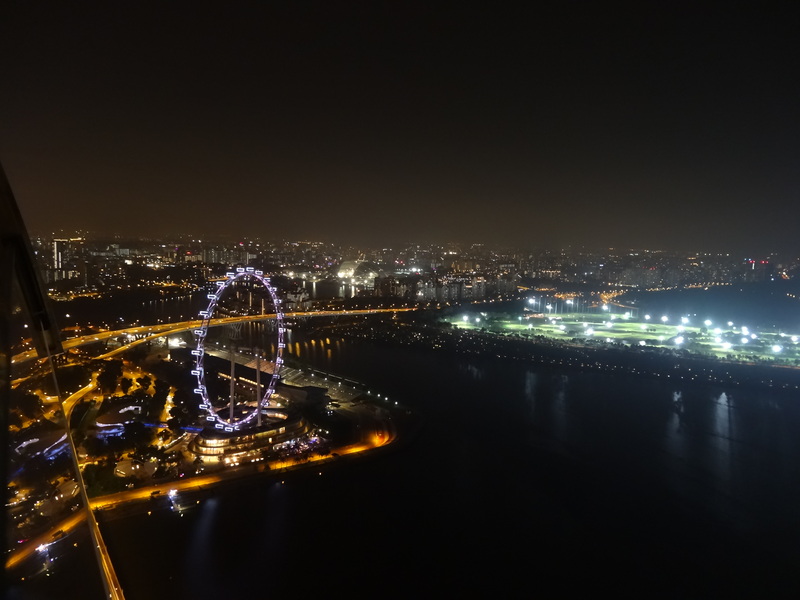 Between the bustling city, the interesting nightlife in Clarke Quay, and the new friends I made along the way, it was a memorable and unique trip. 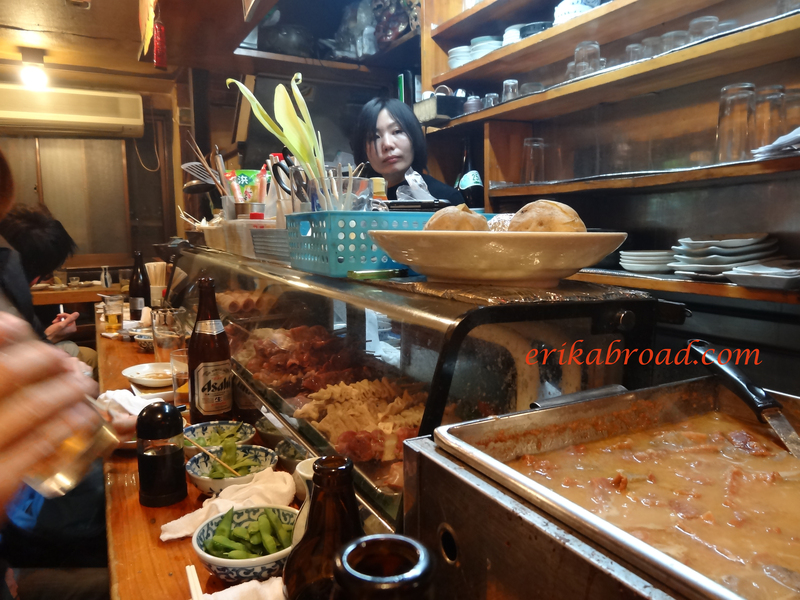 Over the past year, some of my travel memories have gone to the wayside only to be rediscovered at a later time. While I was reading about the passing of former Singaporean Prime Minister Lee Kuan Yew, my memory bank was tapped and I recalled one very special moment I had in Singapore. I made friends with complete strangers and would like to share this story with you. As the typical budget traveler in Southeast Asia, many backpackers lambaste Singapore. 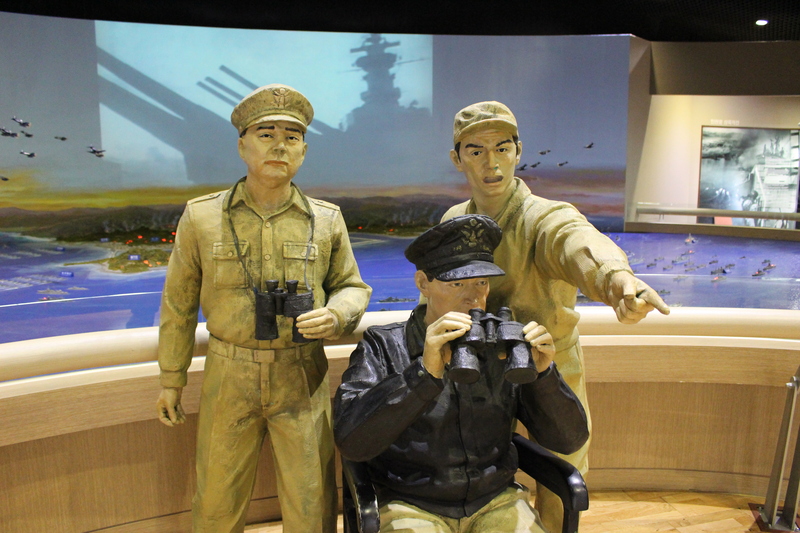 They often say some things about Singapore that are meant to dissuade you from going. “Oh, everything is so expensive,” they say. “There really isn’t much culture there,” they say. “Skip Singapore. It isn’t even worth it,” even more say. 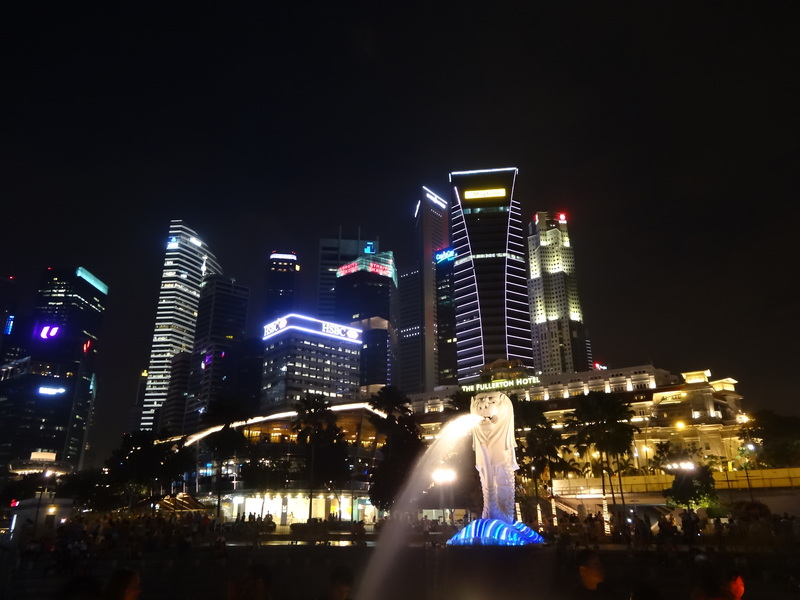 As a big city lover who lives in one of the world’s most expensive countries, nothing could tarnish the allure which Singapore holds. For a history lover (tons of British colonial history) and an architecture lover (one of the world’s finest waterfront skylines), nothing would stop me from seeing Singapore and jotting down notes along the way. As soon as I arrived, I was pleasantly surprised. 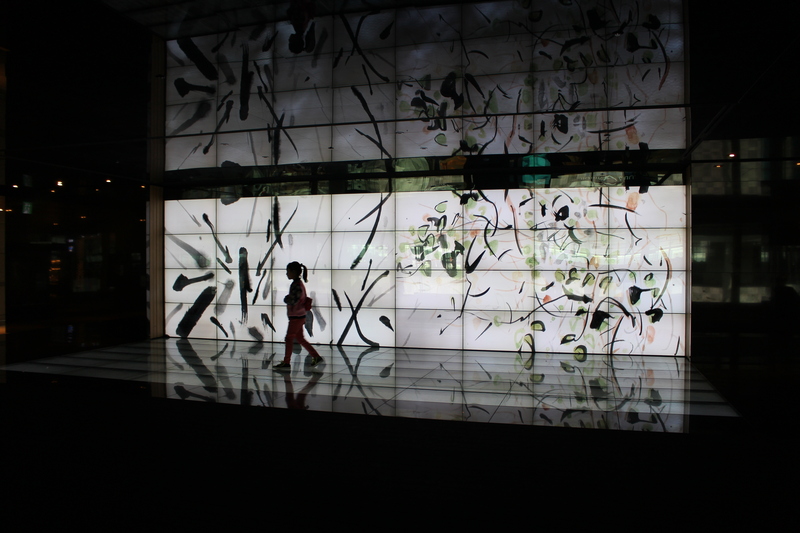 Changi Airport was spectacular in every sense of the word. Transportation into the city was flawless. Aside from the strict rules and signs referring to the numerous prohibitions at every corner, Singapore was a nice place for me as a tourist. 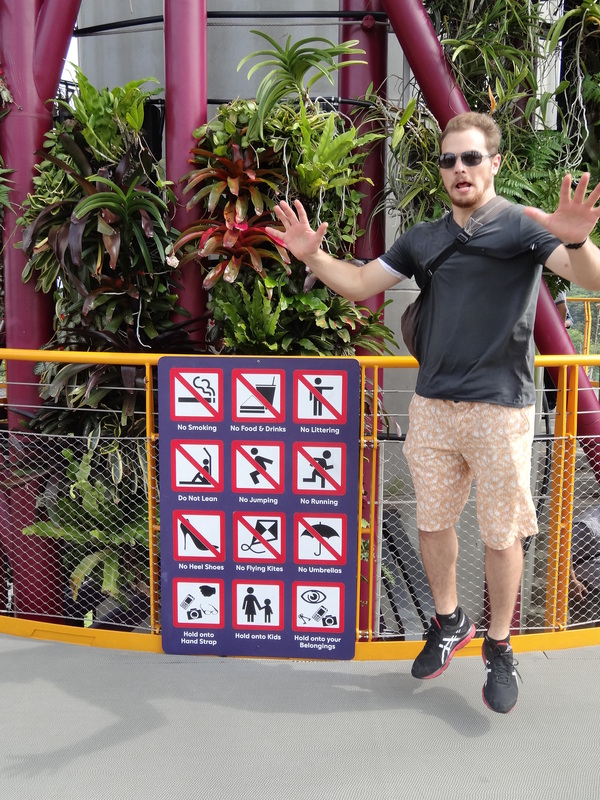 At least these signs made a great photo opportunity. 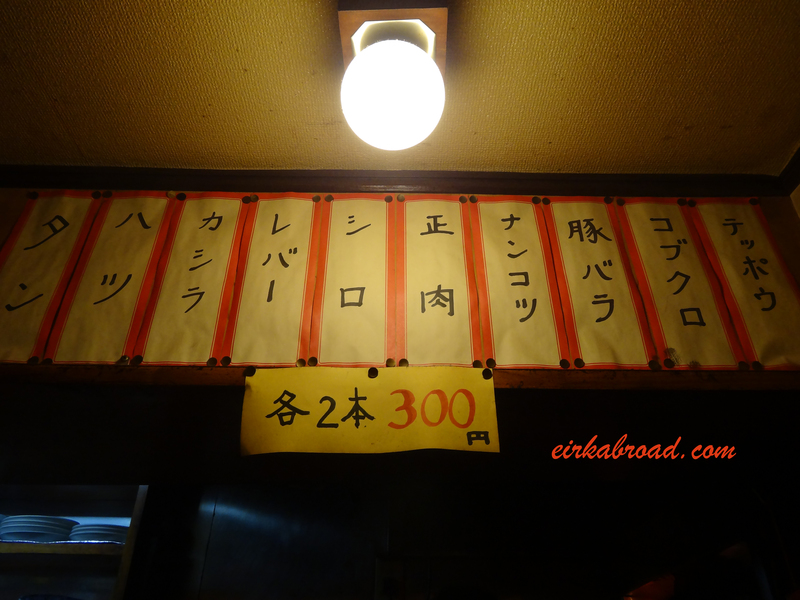 Everyone spoke English and there were a lot of interesting things to do for someone there on a budget. 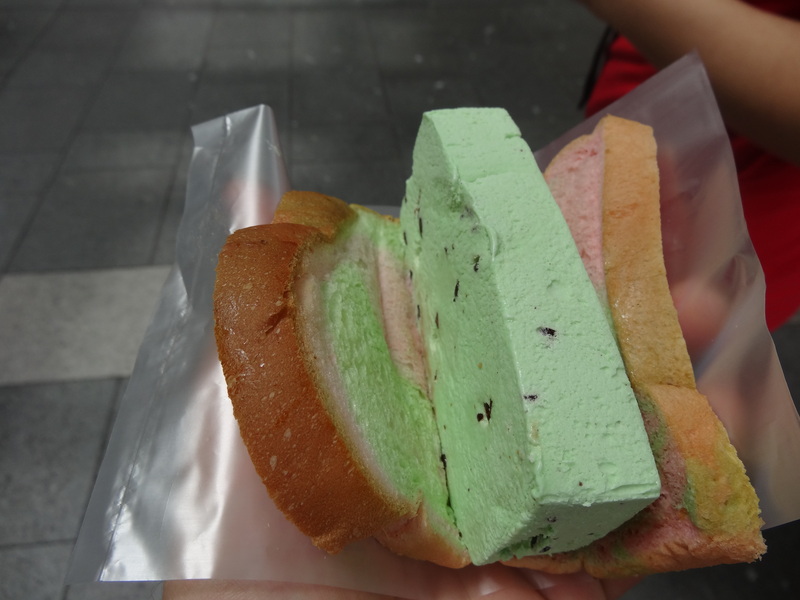 The highlight of wandering the streets was the chance to eat a real ice cream sandwich. Believe it or not, this version of the sandwich was more delicious than the typical version served up in every convenience store in the United States. Take a look for yourself! While Thailand was a budget traveler’s heaven, I did not like the lack of English and cleanliness. After seeing the Merlion and taking in the skyline on my first night, one Singaporean staple catapulted to the top of my list. Glistening in the evening fog across the way was the Marina Bay Sands. After seeing it from the Merlion, I knew I needed to get to the pool atop the ship-like casino. The pool is something about which you read in travel magazines, see on the Travel Channel, and about which you hear stories from your friends who had the money to stay there. 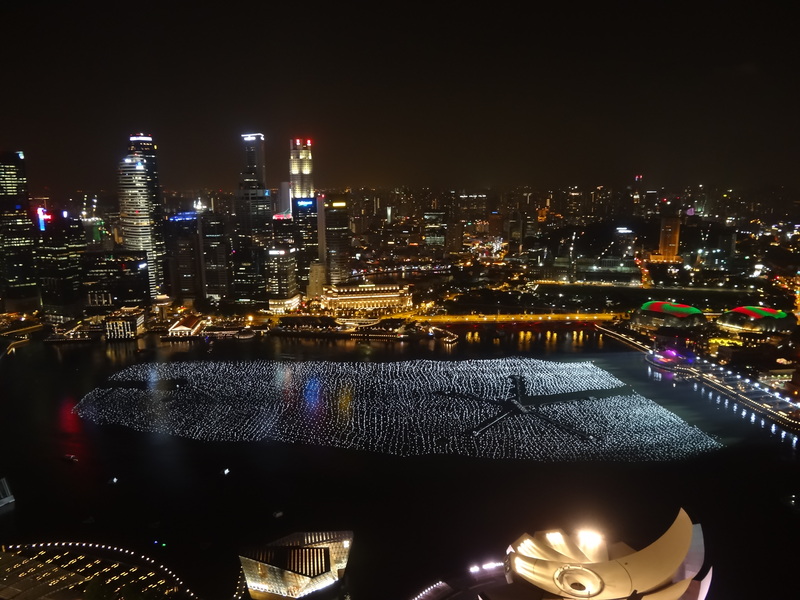 The imagery from reading about it, seeing it on TV, and hearing stories turns the Marina Bay Sands infinity pool into a place that seems larger than life. Palm trees swaying in the subtropical wind while jazz music plays in the background make for an interesting atmosphere. 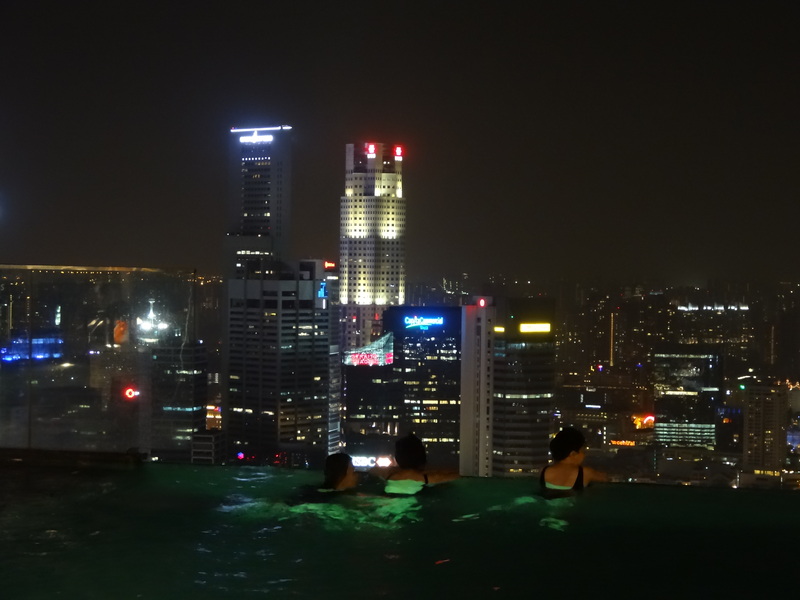 When I heard even more stories about the heated towels and the special drinks they serve at the top, getting there without paying the expensive price for the room became my number one Singaporean travel goal. To make a long story short, I made it to the pool atop the Sands. Here is the the unconventional way in which it happened. Before I left Japan, I developed a scheme to get to the pool. I would wear a nice set of clothes and just walk by the guards like I was staying there. Simple enough, I thought, as the typical tourist would not be wearing a button-down shirt. The average tourist would be wearing shorts and a t-shirt. They would have a camera draped around their neck and they would gawk at the skyline, right? Wrong. Much to my chagrin, almost all of the tourists with whom I rode the elevator dressed nicely. They were all wearing button-down shirts and slacks. 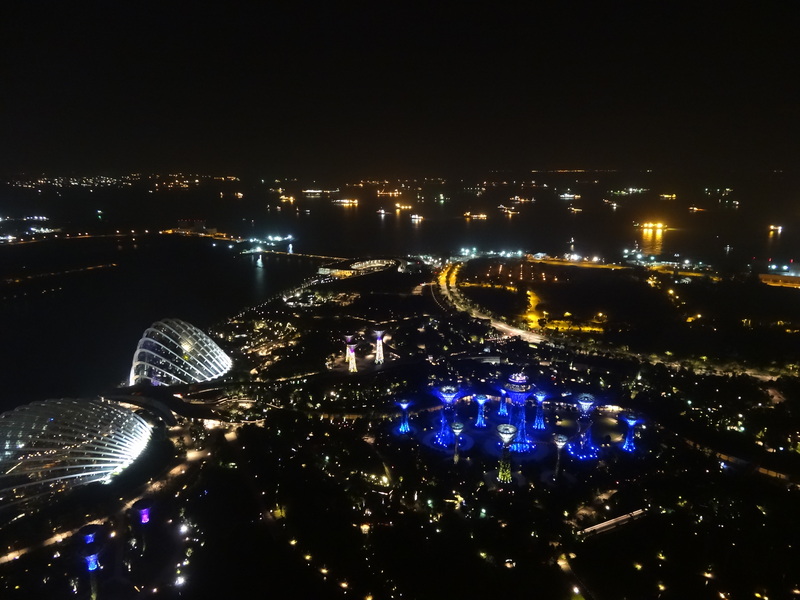 Even though we had tickets to the lowly “visitors space” atop the Marina Bay Sands, I came to the realization that I would make it to the top and get some good photos of the harbor without making it to the pool. I walked around and took in the atmosphere to plan my next move. I took photos of the boats docked outside the Sands. Then I took a photo of the golf course island and the ferris wheel which seemed so close to this mammoth structure. As I positioned my ￥100 tripod for my next shot of the harbor and the city, I felt a quick jolt and my camera was knocked to the ground. “Oh, I’m so sorry, young man,” said the kind woman. Her husband quickly apologized, as well. They had bumped into me while they were posing for a photo with the ferris wheel, mere inches away from my right arm. Fortunately my camera was still working and I was in a good mood because my luck that evening was about to take a change for the better. The three of us got to talking about traveling in Asia, living and working abroad, and the exciting nature of being young. They were fascinated by my tales of living in Japan and traveling the world alone at such a young age. I was equally struck by their stories of working on Australian mining and oil operations while having also worked with the Australian equivalent of the Foreign Service. While slightly older than my parents, we were able to converse like old friends. “Why don’t you be our son for the night? We would like to talk to you more and share some drinks poolside with you,” said the gentleman. With their kind invitation to join them poolside, our scheme was set in motion. I was to walk in with them like I knew them and there would be no questions asked, they said. They added that the guards would not stop anyone who looked like they belonged for fear of offending a wealthy or important guest. Within a few minutes, they gave me their extra room key to prove I was staying with them. 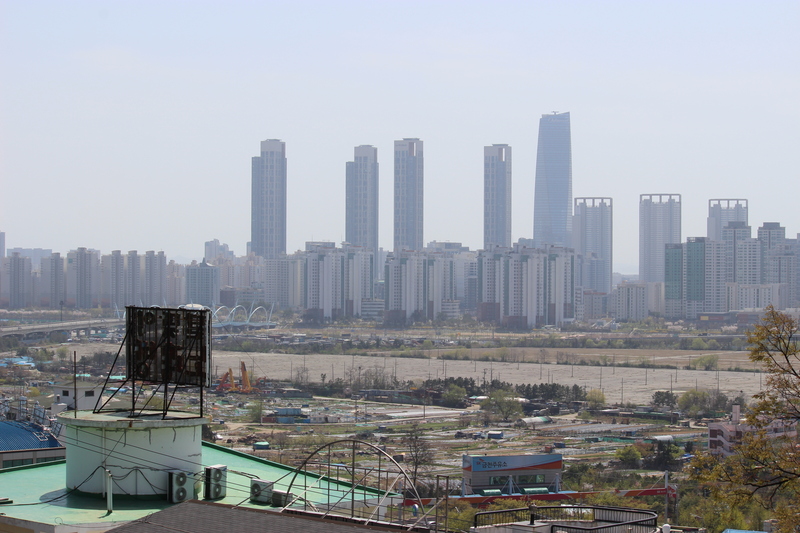 We quickly lined up to pass to the “hotel guests only” region on the roof. After a cursory checkpoint, I was through and at last!! As my excitement swelled, they quickly ushered me over to a reserved table with their name on it! Drinks and food quickly came our way as they insisted to treat me for the evening. Their kind hospitality and welcoming nature is something I will never forget. As we peered off into the night, the lights came on in far off Indonesian islands and boats passed through narrow channels to their docks for the evening. Tiger Beer and intermittent appetizers made the evening pass effortlessly into the night. What was once a young evening had become old, and with the passing time, my gracious hosts had to return to their room for the evening, but not before they gave me one parting surprise. “Behind us is the infinity pool. We have ordered a Singapore Sling for you and hope you enjoy the rest of your evening on the lounge chairs and in the heated pool. 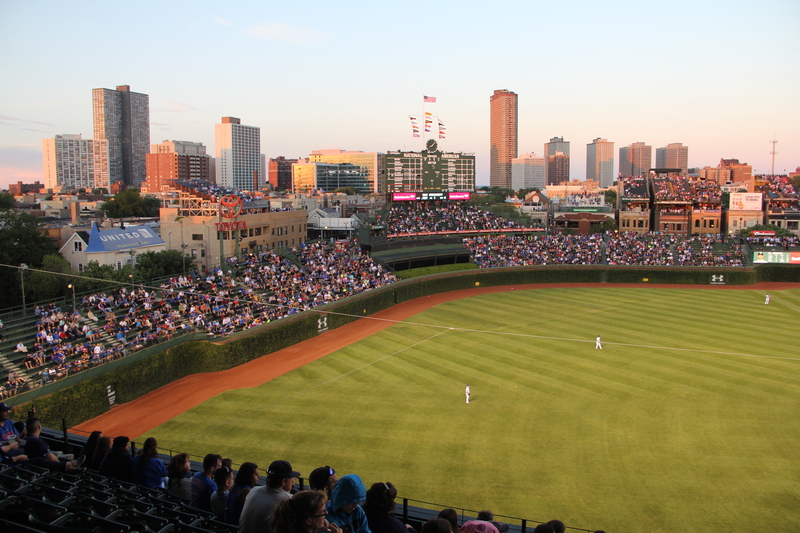 You made our night. Have a fine evening, young man,” the woman said as we embraced and parted ways. As I settled into my lounge chair after a quick dip in the pool, I marveled at the palm trees and the poolside atmosphere. 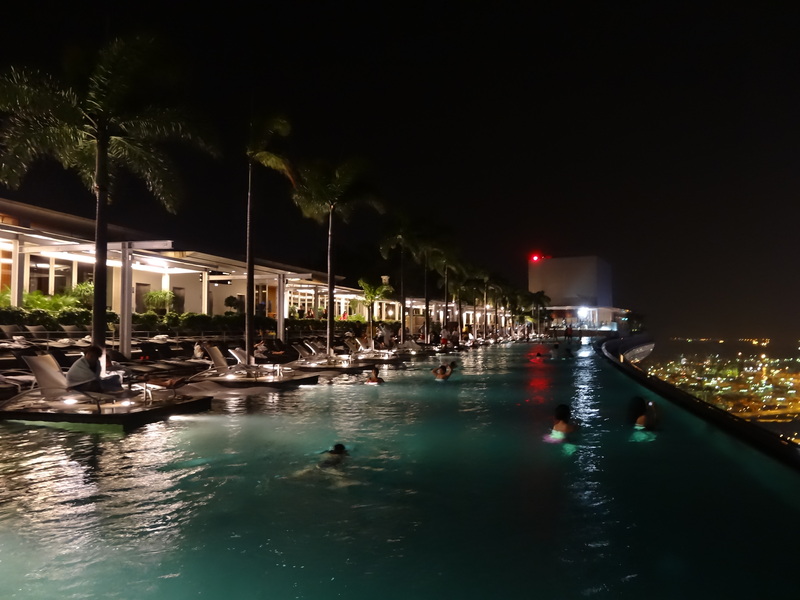 Looking past the lifeguards, frolicking children, and waiters, I saw a group of women at the edge of the infinity pool, overlooking the Singapore skyline. At that moment, I was tapped on the shoulder by an energetic waiter. In his right hand he held a heated towel. In his left, he carried the world-famous Singapore Sling. He also brought a message from my new friends. “Share an experience like this with a young man someday,” they said. All seemed right in the world at that moment. As the Rolling Stones played, I toasted to my new friends. I hope we meet again someday so I can share the impact this moment had on me and my subsequent travels. 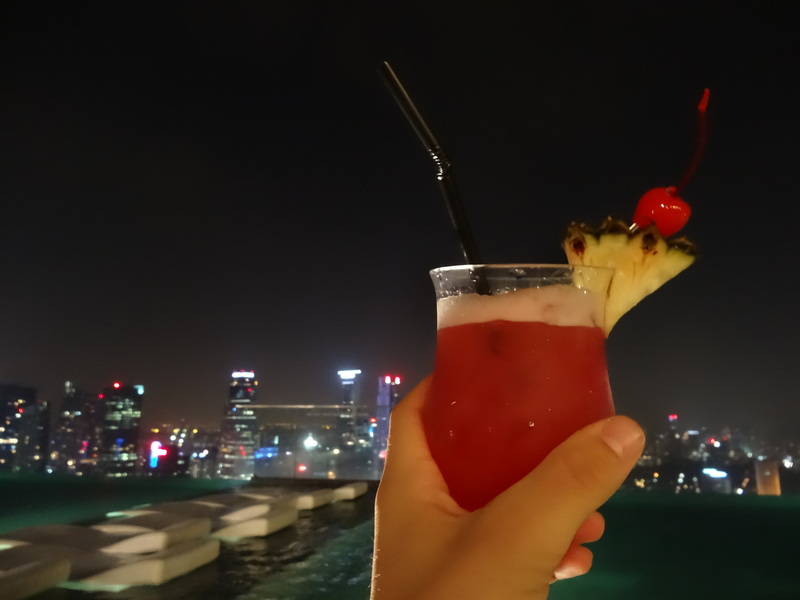 With Singapore in the background, I enjoyed this drink to the last drop. Sometimes the most human moments during our travels are the most memorable ones. This was a special Singapore Sling.